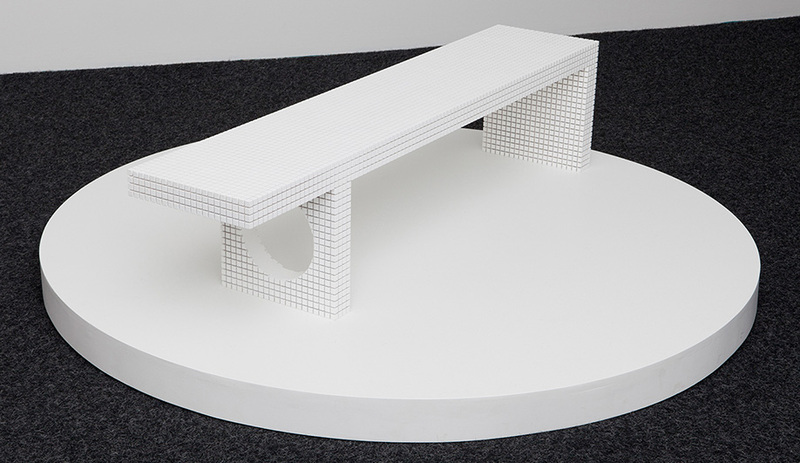 A white bench by Rason Jens – a Portland-based designer to watch. 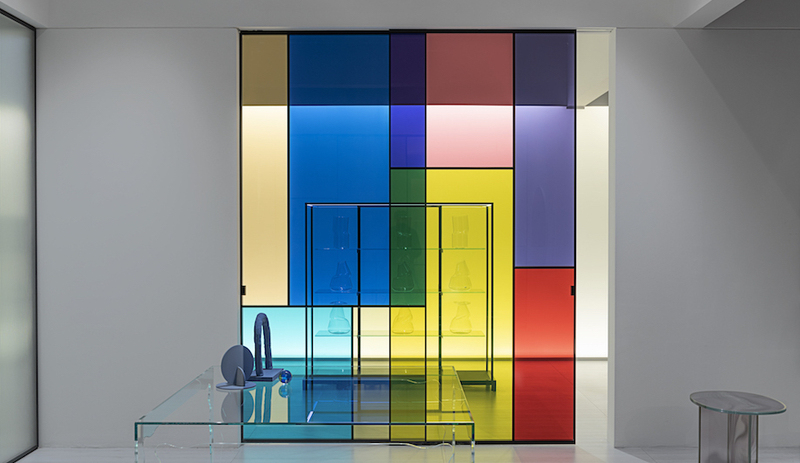 He has a terrific way of findings ways to make the ordinary look new. Two beautiful pieces from the New Frontiers display: Chair by Studio Gorm of Oregon and leather-top stool by Knauf and Brown of Vancouver. 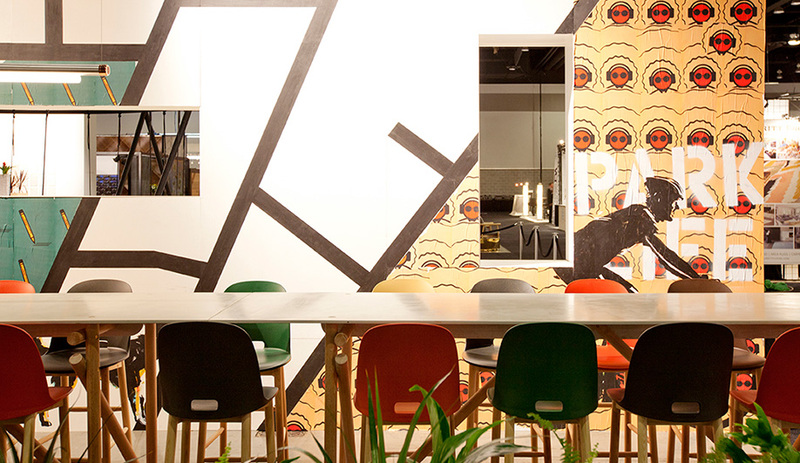 A multihued array of Alfi stools, by Jasper Morrison for Emeco, surrounded the main bar on the show floor, designed by Evoke Design. Artist Zoë Pawlak and woodworker Jeff Martin collaborated on new pieces, with Pawlak adding hits of colour to some mushroom-shaped stools. Evoke's Park Life bar pre-opening, and just before the crowds arrived. Photo by Janis Nicolay. 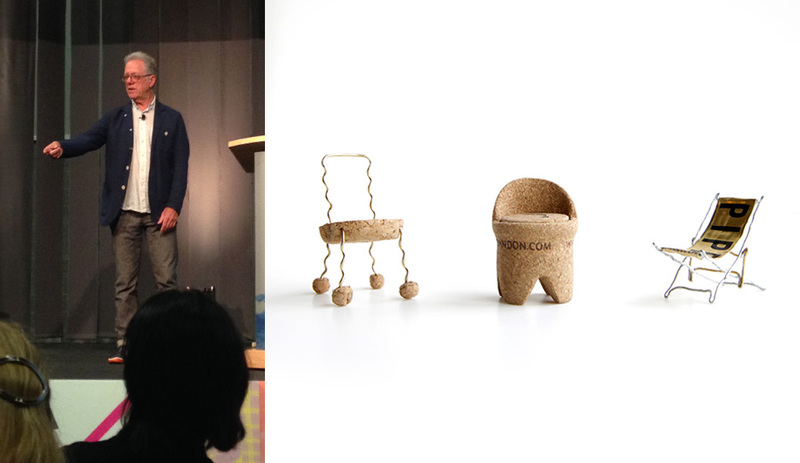 Former DWR founder Rob Forbes spoke about developing an eye for the smaller details of life: "We can create a world as we want to see it, depending on how you see it." Wise words. Art Stable was one of the projects highlighted by guest speaker Kirsten Murray, a principal at Olson Kundig. 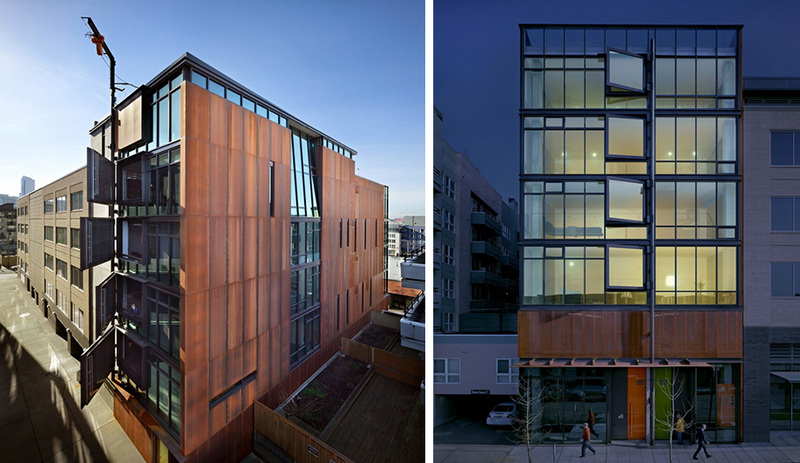 The residential building has exterior walls that swing open using an interior hand crank. 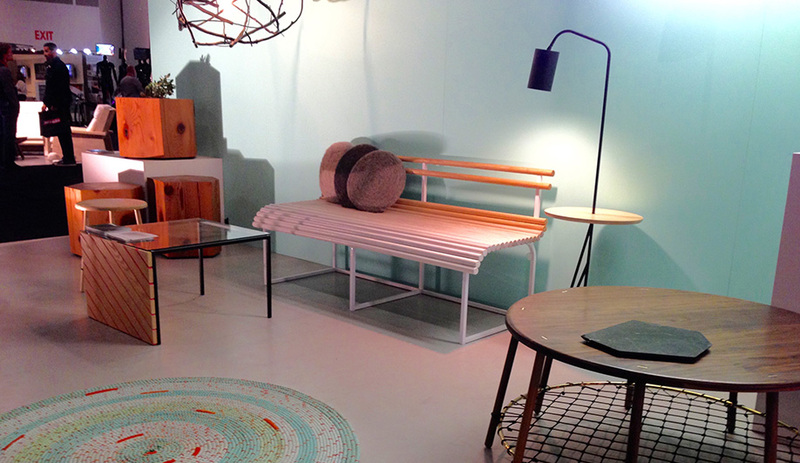 Cristian Arostegui G with his concrete Sofi bench. 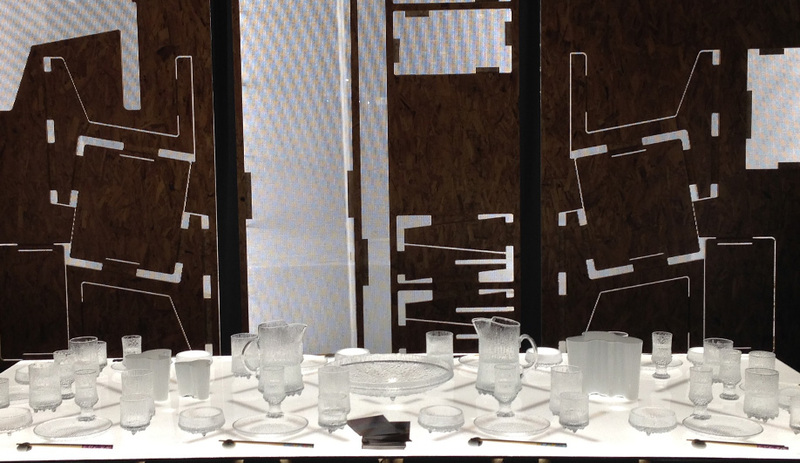 The Vancouver designer won the Prototype prize, awarded to the best young designer at the show. 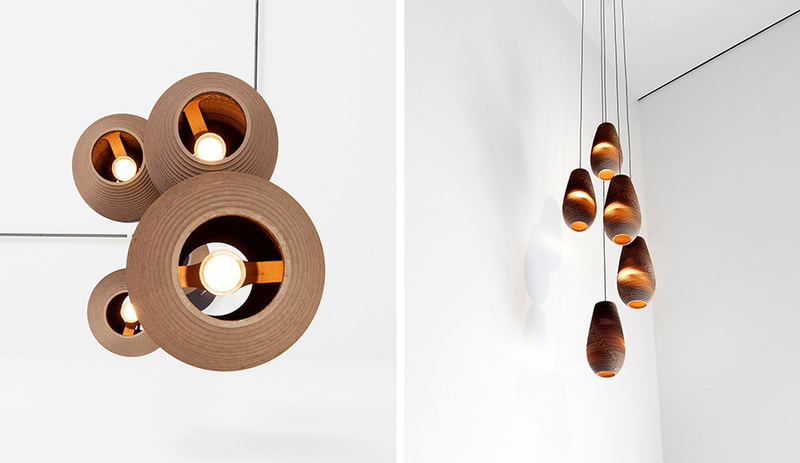 Pendant lights made of cardboard, by Graypants of Seattle. 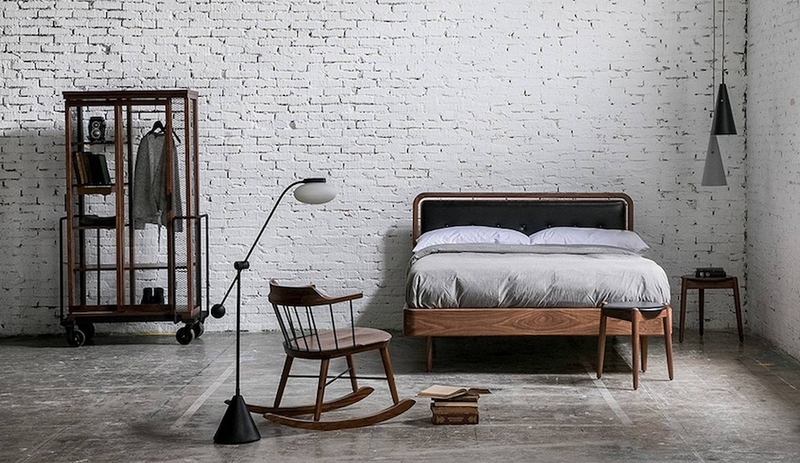 Objects and furniture pieces by Vancouver's Hinterland Design. Fogbench is made of white ash wood and painted in soft pink gradations. 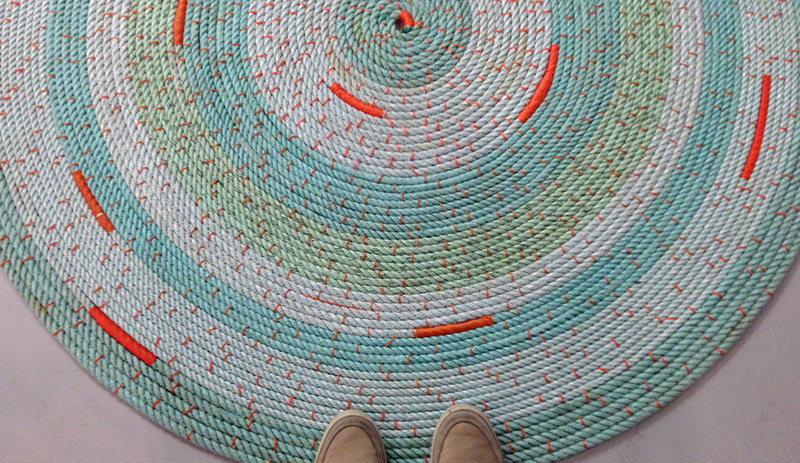 Lovely braided throw rug, also at the Hinterland Design booth. 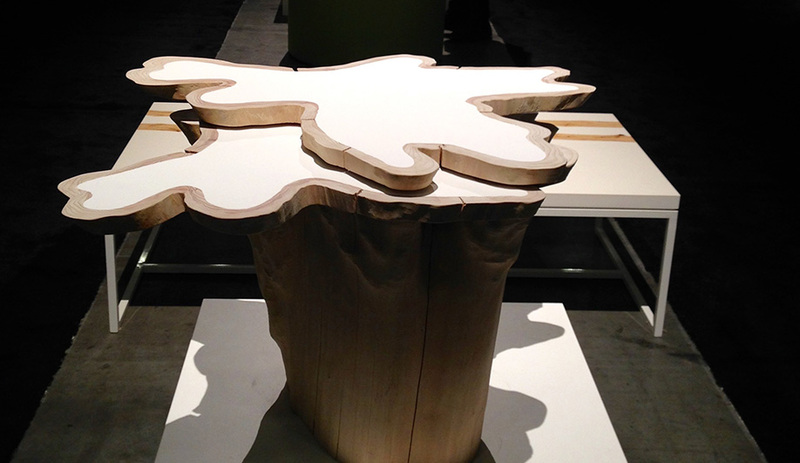 Woodworks's table prototype is made from Western Red Cedar and filled in with white resin. The top areas swivel in and out of place. 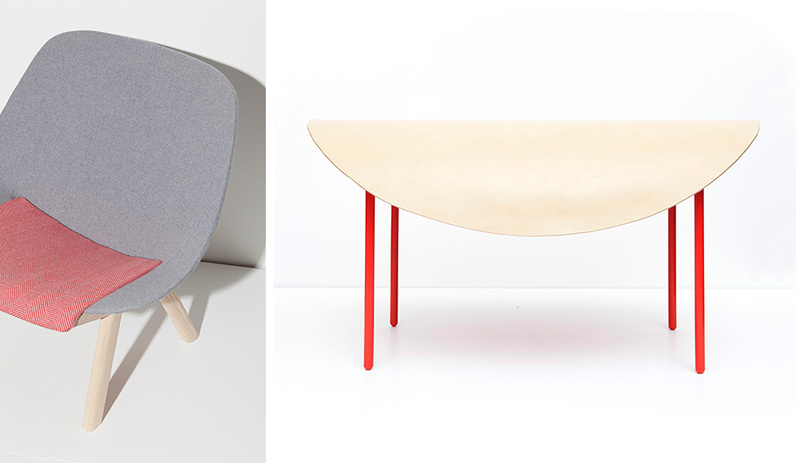 A nice showing of furniture and objects by up-and-comer Ben Barber Studio. 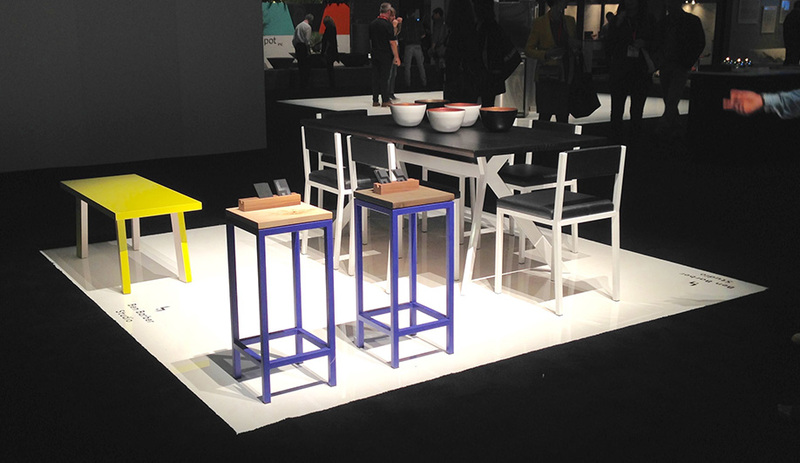 The bar stools have an oxidized maple seat and powder-coated steel legs painted in Pantone Blue. More from Ben Barber Studio. 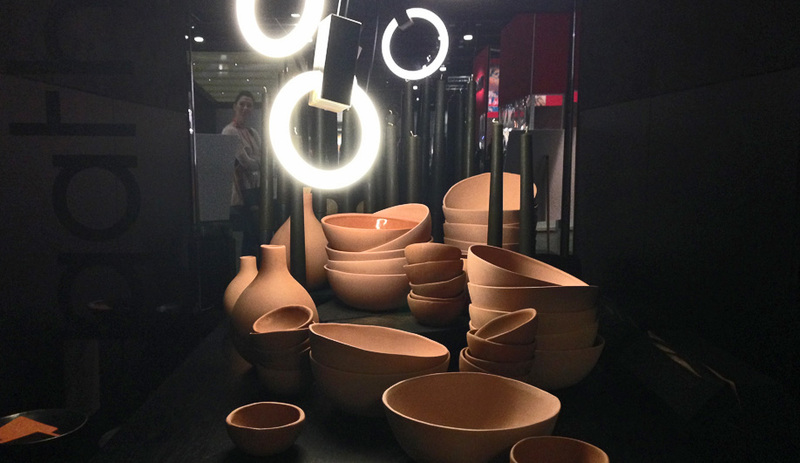 The bowls are spun from copper sheets and have a powder-coated exterior. The powder is baked into the copper, which brings out a pearlescent effect and a unique hue. 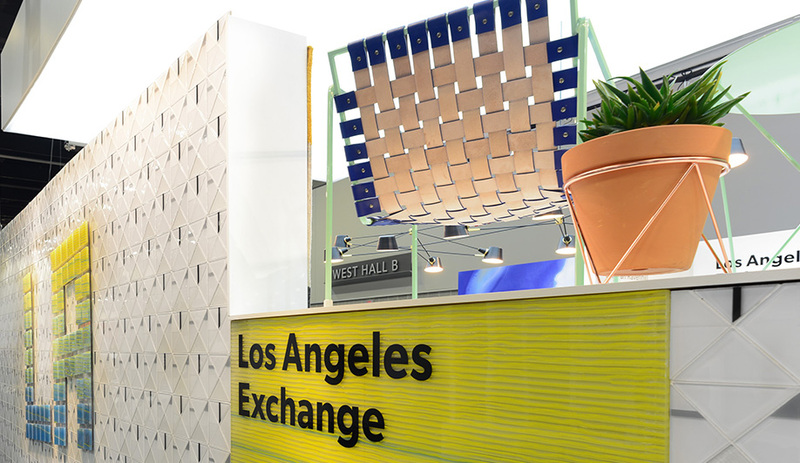 The Los Angeles Exchange booth, designed by local firm Falken Reynolds and covered in glass tiles, was the most colourful at the show. 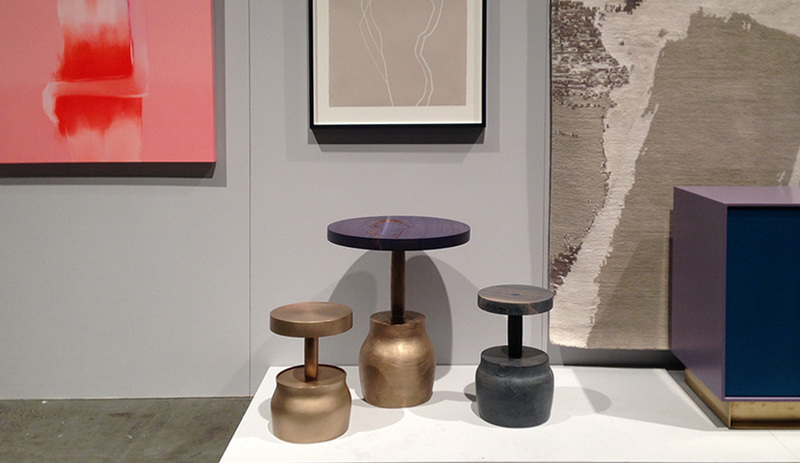 Design Milk selected six designers to fill the space. 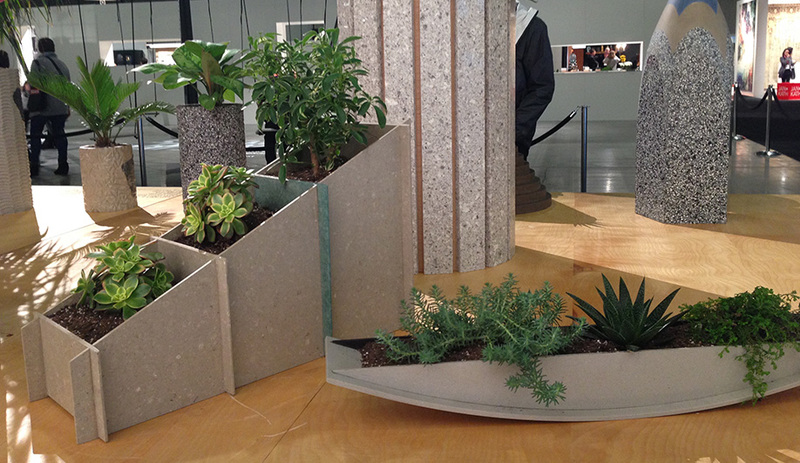 These sculptural planters by London designer Philippe Malouin are made of Caesarstone. 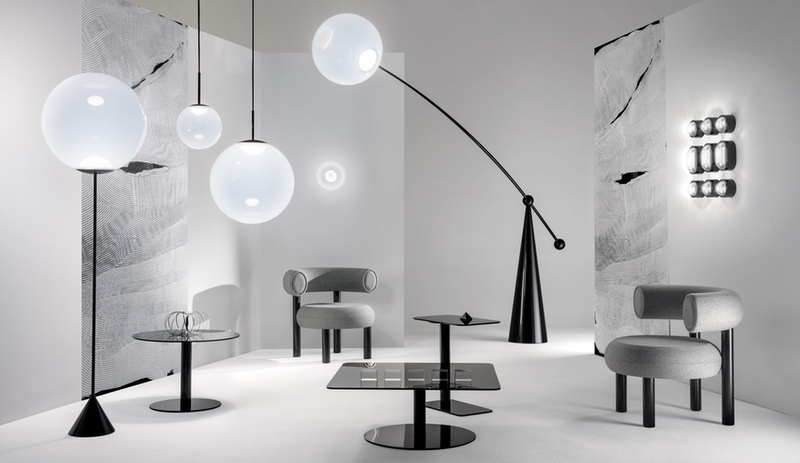 Malouin's popular Swing set was just as popular in Vancouver as it was in Toronto and Milan. 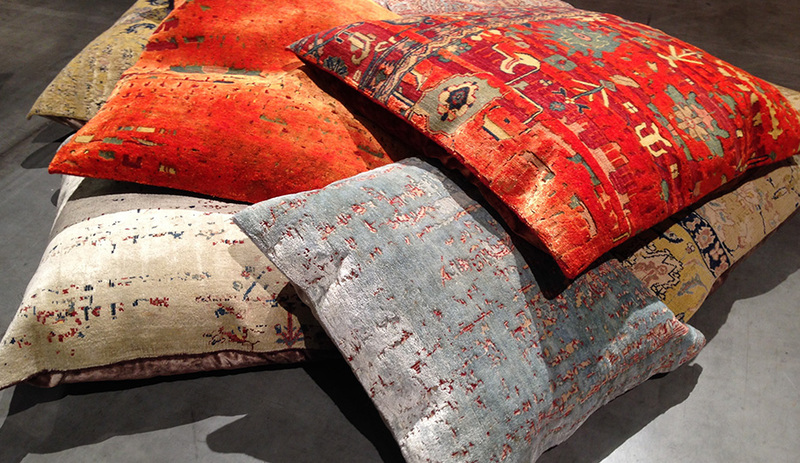 Giant, lavish floor pillows by German carpet designer Jan Kath, who also has a permanent showroom in Vancouver. The most popular seat in the house was Alex, a giant Montauk sofa you could easily lose a small pet in, between the folding arms and backrests. 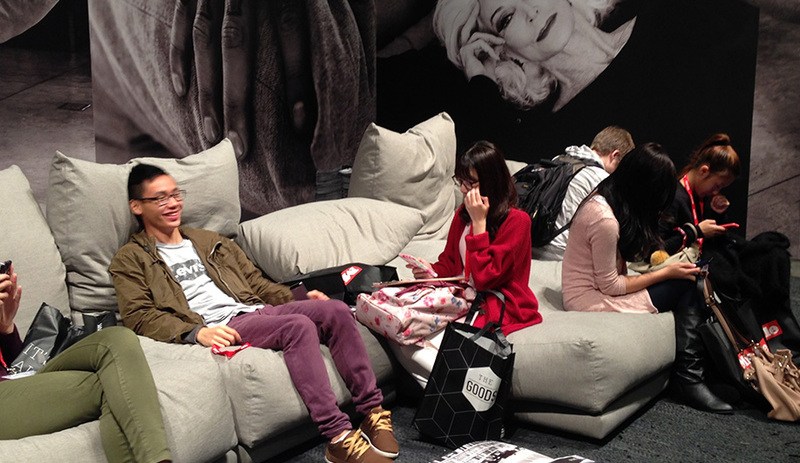 Stunning black-and-white images of models lounging on Alex lent the booth a theatrical mood. 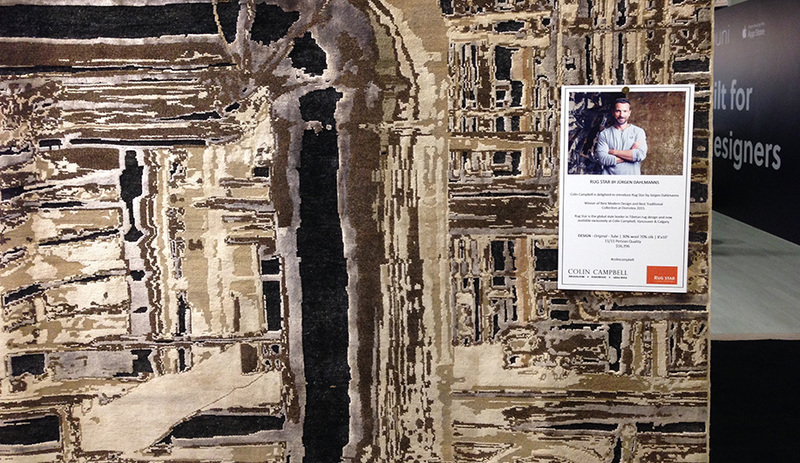 Rug designer Jürgen Dahlmanns had a number of eye-popping carpets, each hand-tufted in India and Nepal, at the Burritt Bros. booth. 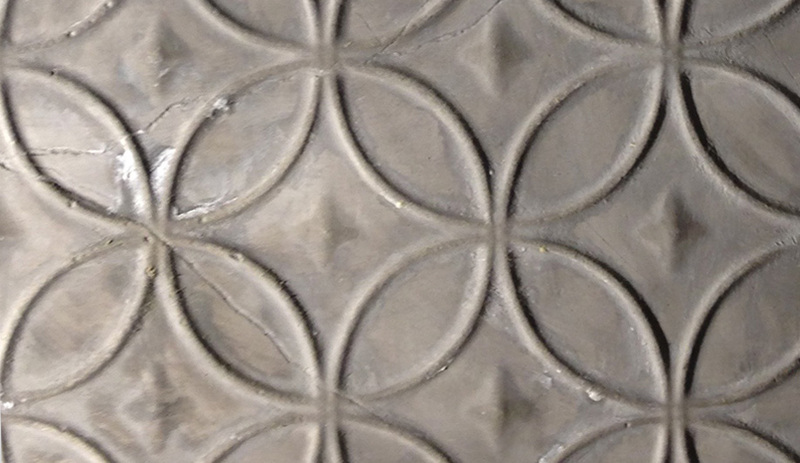 Shown here is a detail of a larger pattern inspired by industrial pipes. In this beautiful, somber installation by the talented Vancouver interior designer Gaile Guevara, stacked clay bowls filled an all-black space that was illuminated by rings of light. This looks like concrete but it's actually a lime plaster coating over drywall. Crafted by Distinct Interiors, the surfacing is ideal for fireplaces, and because it's also waterproof, it can also be used to form sinks. 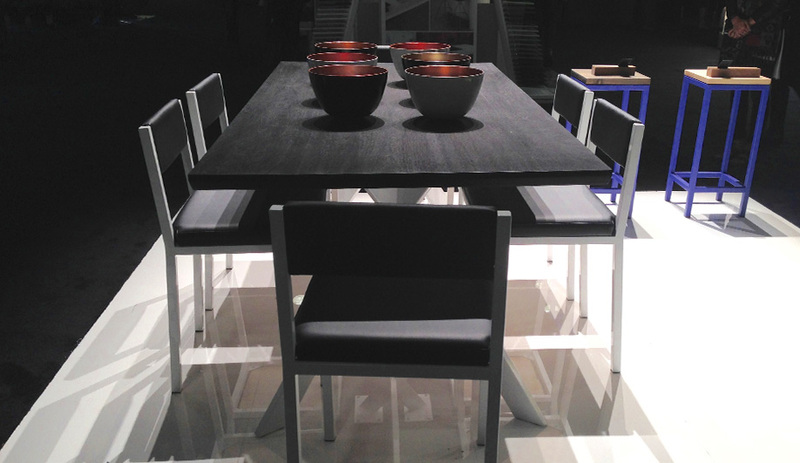 This beautiful and cost-efficient Dinner by Design table setting by Rufprojects is fabricated from off-cut sheets of Oriented Strand Board and illuminated with energy-efficient DLC LumiSheet, a product manufactured in Ontario. 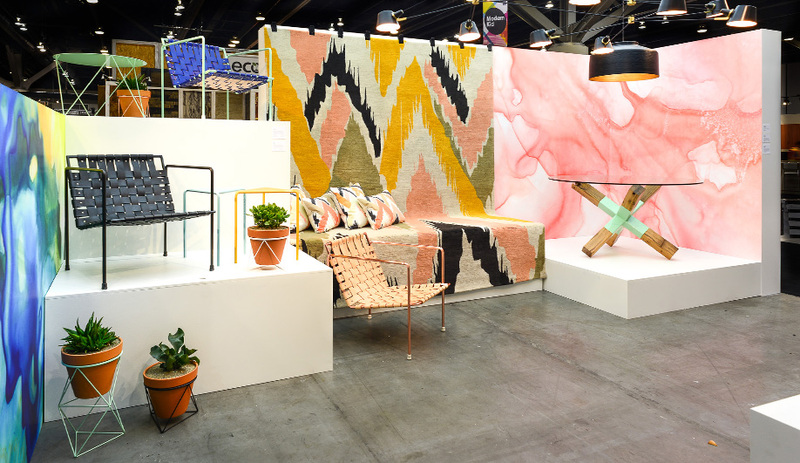 At the 10th annual fair, an exciting assortment of designers from the Pacific Northwest – including Vancouver’s Knauf and Brown, Portland’s Rason Jens and Seattle’s Graypants – strutted their stuff. Here’s what grabbed our attention. 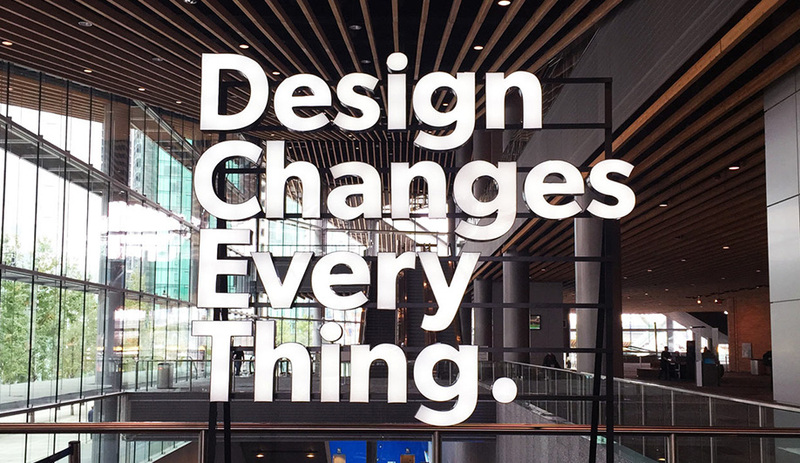 IDSWest, which took over the Vancouver Convention Centre from September 24 to 27, was a booming success. 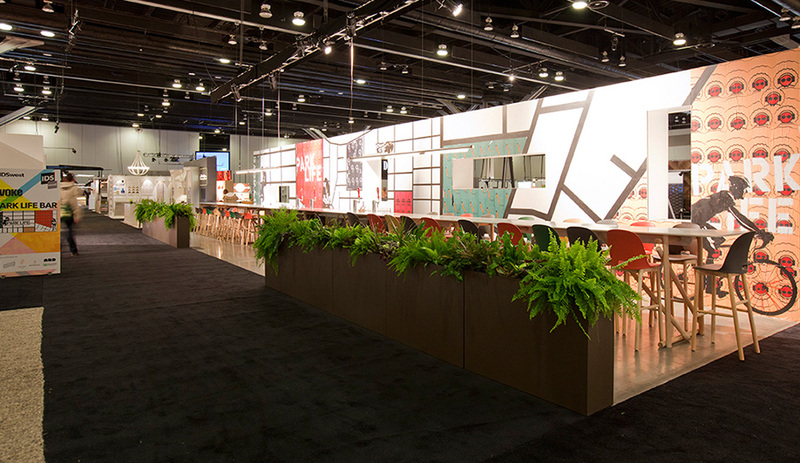 Everywhere you looked, from the vibrant booth of the Los Angeles Exchange to the colourfully furnished Park Bar by Evoke, the atmosphere was positive and creative. The best of West Coast design was on display, as exhibitors including Ben Barber Studio, Jeff Martin Joinery, Knauf and Brown, and Hinterland Design presented new takes on wood with surprising new finishes. 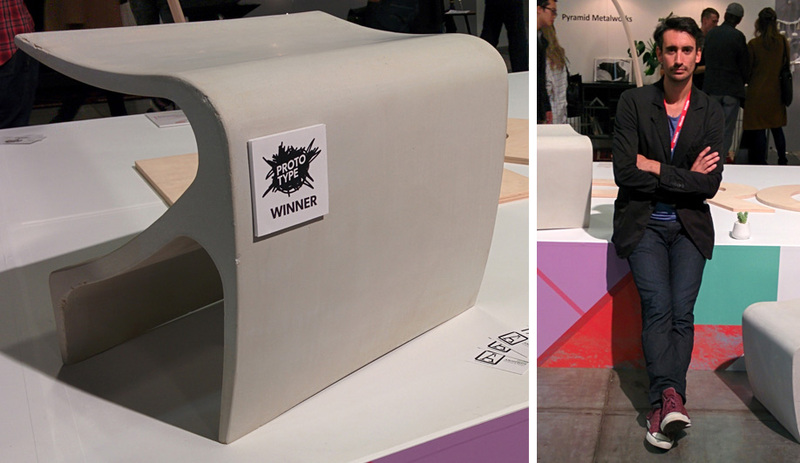 The Prototype award went to Vancouver designer Cristian Arostegui G, who presented the Sofi bench – a contoured concrete seat that felt as fresh and imaginative as the show itself.